The Mere Hotel, a sleek modern hotel with 67 rooms, sits right on Winnipeg, Manitoba’s Red River. 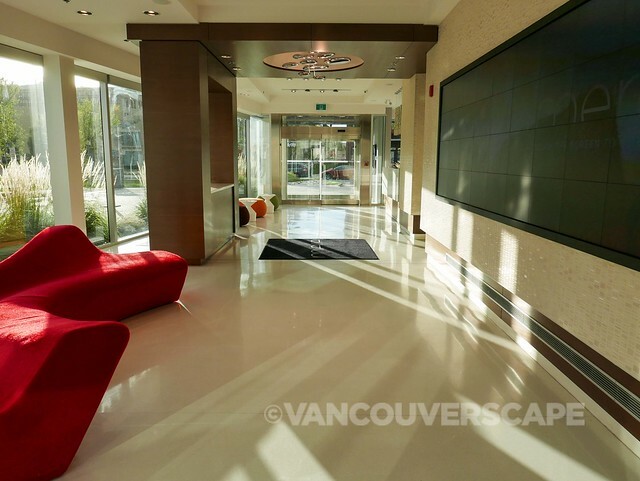 Opened just a year and a half ago, its well-lit lobby’s flanked by an electronic wall clock/mural-sized screen where you can select “create art” and draw a wild pattern via hand motion sensor. 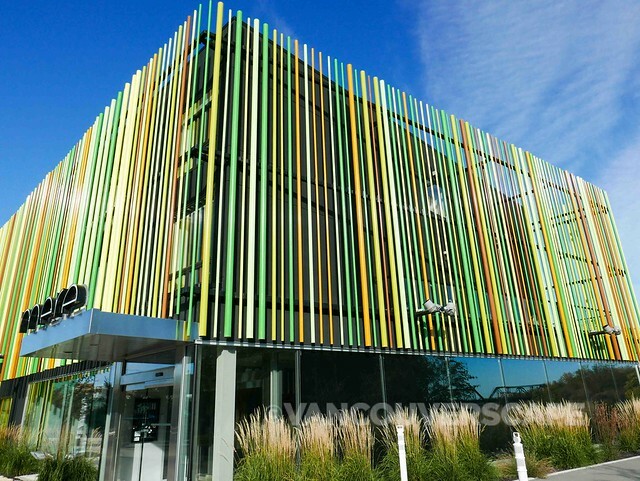 The hotel’s website depicts a colourful bar-accented building that’s every bit as vibrant in real life. Rooms are well equipped with a number of outlets, free wifi and lots of modern accents. 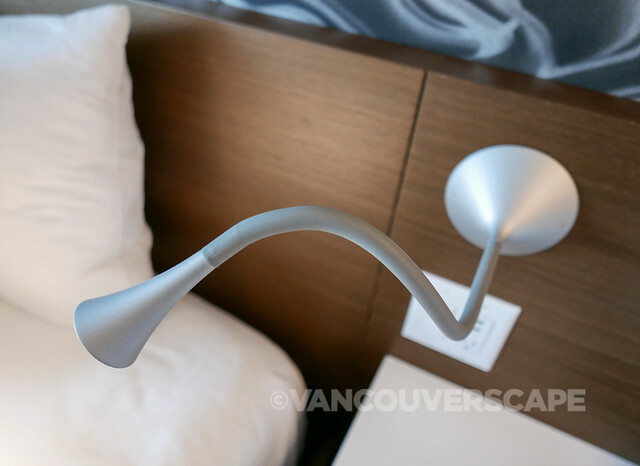 Bedside lighting and dimmers are also pretty cool room features. The friendly staff sees to a top-notch experience, from dining tips to checking local schedules and opening times. 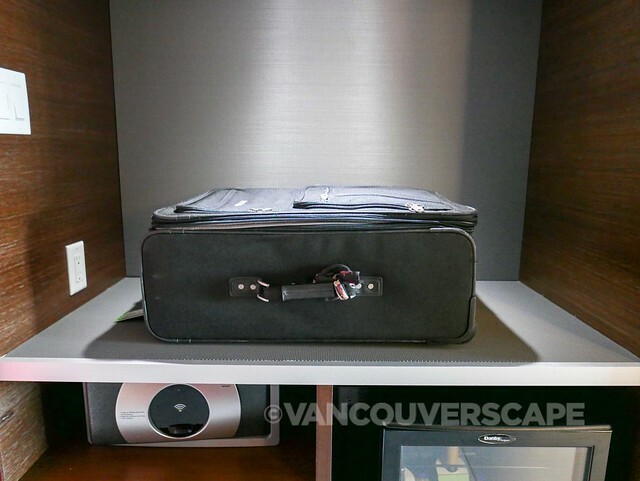 I like the open design concept for storing luggage and hanging clothes – everything’s in one handy spot – with luggage at an easy to reach height. Another welcome feature is a bedside dimmer switch, one of which turns on soft lighting under the counter for the perfect night light. Help yourself to free snacks, juice and water in the mini fridge (wine bottles are clearly priced). A wall-length wooden counter top sits under the mounted flatscreen HDTV. A Zen-like wooden bench with cushion invites relaxation time (in my case, with a view of the river). Rooms are spacious and a section of the window opens for fresh air (or choose airco). 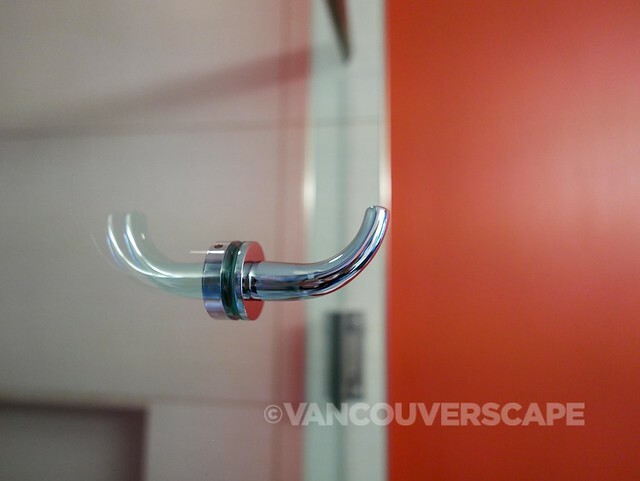 The bathroom fixtures are all high quality (including Euro brand Grohe); the large shower includes both hand-held and rain shower heads. 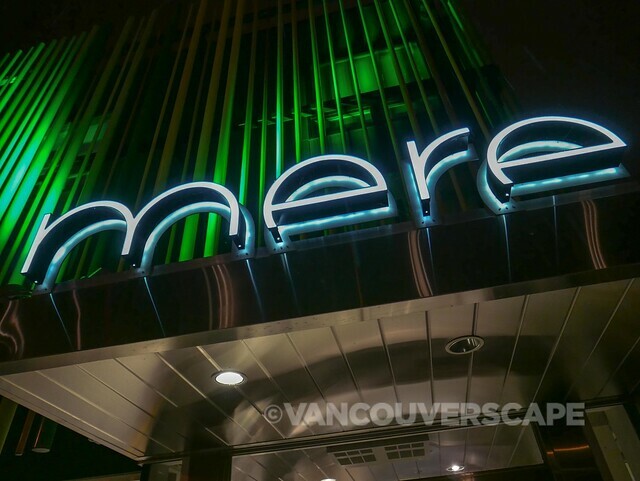 The Mere uses a geothermal heating and cooling system, motion sensor thermostats and LED lighting in many areas for energy efficiency. 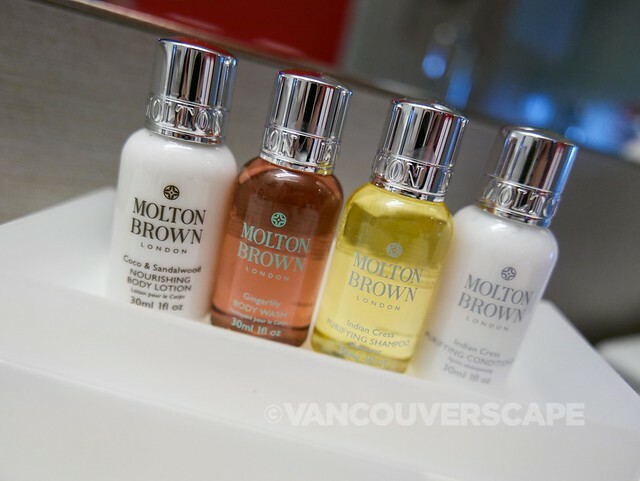 On-site electric vehicle charging station and locally-sourced products add to the hotel’s reduced carbon footprint. The Mere also has a small fitness room workstation for guests down the hall from the lobby. Try to book a river view room, giving you gorgeous morning sunrises (lots of sun in Winnipeg: 318 days of the year on average). 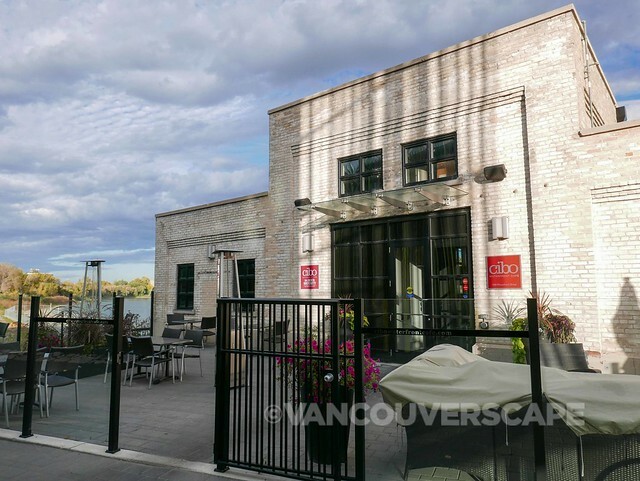 Cibo Waterfront Café is right next door, open from 7 am to midnight. Fresh, wholesome meals are served here daily. 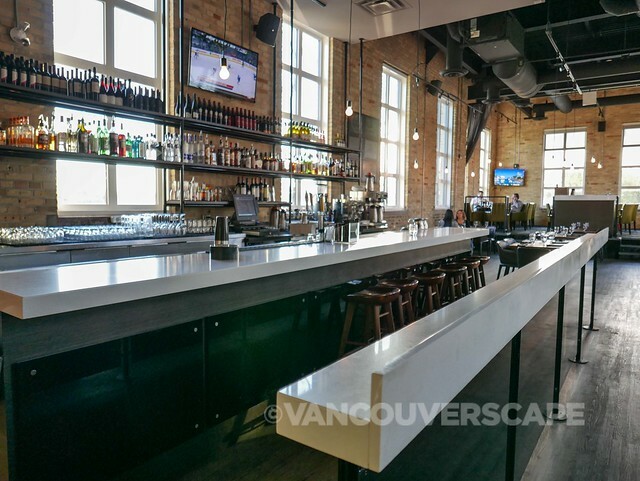 The modern, well-lit interior features lots of wood tables and sand-coloured brick walls; some parts of the restaurant have a lovely Red River view. There’s also an outdoor patio for winding down after a day of touring the city. 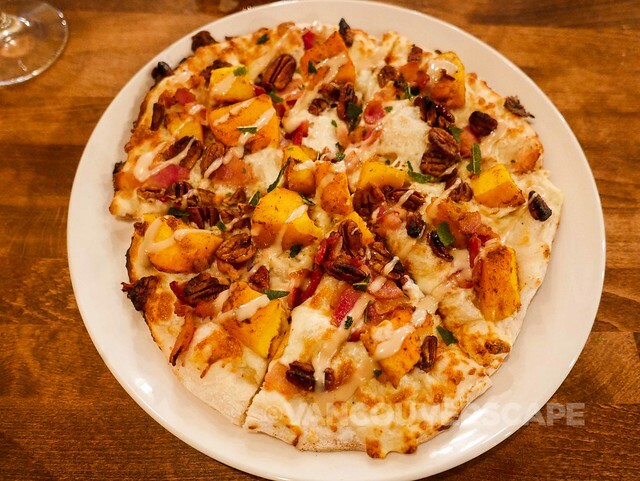 I enjoyed a divine creation from Cibo’s kitchen one night: a flatbread pizza topped with spiced pumpkin, candied pecans, thick applewood smoked bacon, crispy sage and creamed ricotta. Insulation could be better. I shouldn’t have to hear the neighbor’s TV at 7:30 in the morning, even if I am already awake, but I did. 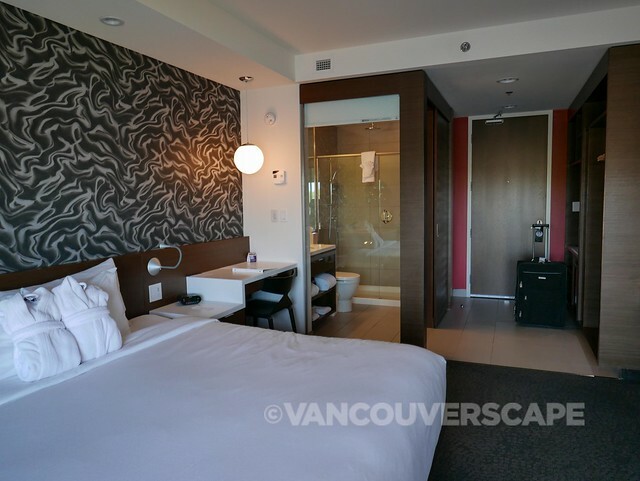 A new hotel of the standard could have easily added more padding between its rooms. The Mere Hotel is located at 333 Waterfront Drive in Winnipeg. I stayed at the Mere Hotel courtesy of Tourism Winnipeg. Opinions, as always, are my own. I was at Cibo’s in May, after an early morning run alongside the river and past the Mere Hotel. Was so impressed, I went back for lunch. Loved the building and location views. Hi Elinor! Have you seen it at night? Reminds me of the Aurora Borealis – gorgeous!